Using new software can be both a joy and a pain. On the one hand, you get to play with new features; on the other, some of the new features might not work as well as you’d like. Such was the case with Org-Wide Teams. Specifically, the problem was that some valid tenant accounts were never added to an org-wide team. Even more bizarrely, a tenant administrator who created an org-wide team was added as a team owner only to be removed from the membership soon afterwards. In both cases, the problem was that the Azure Active Directory accounts had no value in the UserType property. This is a relatively new property that should be populated with Member for tenant accounts and Guest for guest accounts. However, some older accounts might have null values. In my tenant, I found six accounts with null values, all created in 2014 (soon after the tenant was set up). If nothing is returned, you don’t have a problem and org-wide team membership will be fine. Apart, that is, from the shared mailboxes, room mailboxes, and the like that are added and need to be removed afterwards – Microsoft is aware of the problem and is working to fix the Graph filters used to generate membership. The GUID is the object identifier for the account listed in the command that returns a list of accounts with null UserType values. Checking the accounts afterwards, you should see that UserType is correctly populated. Once the accounts are fixed, the background process that calculates org-wide team membership will detect the values and add the accounts to the org-wide team membership. Microsoft knows about this issue, but checking and fixing all Azure Active Directory accounts for null values might not be high on their priority list, so if you want to use org-wide Teams you should fix these accounts yourself. Need more information about managing Azure Active Directory accounts with PowerShell? 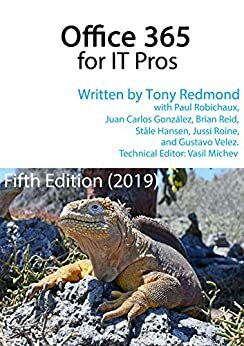 The Office 365 for IT Pros eBook has many examples in different chapters (starting in Chapter 4) together with tons of other examples of using PowerShell to manage Office 365 Groups and Teams. Hmmm… I had that change in the post but it never was posted… It is now. The reason, of course, is that Get-AzureADUser https://docs.microsoft.com/en-us/powershell/module/azuread/get-azureaduser?view=azureadps-2.0 returns 100 records by default unless you tell it to return everything. How many duff records (if any) did you discover? Hopefully there will be fewer confused admins now… but your point is well taken. I do know that Microsoft is considering how best to solve this issue across Office 365… We’ll see what they do. Pingback: Episode #22 – How to Manage Teams User Memberships – O365Eh! Unfortunately, the developers seem to have some problems nailing what the actual set of users that should be included in an org-wide team. The net is that you need to keep an eye on what’s happening, just in case some of the erroneous accounts sneak through.